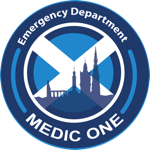 Medic One provides a prehospital service to South-East Scotland as an integral part of the Scottish Trauma Network. It delivers a doctor & a nurse from the Emergency Department to provide life saving interventions, such as blood transfusion & emergency anaesthesia, to critically unwell patients prior to them arriving at hospital. 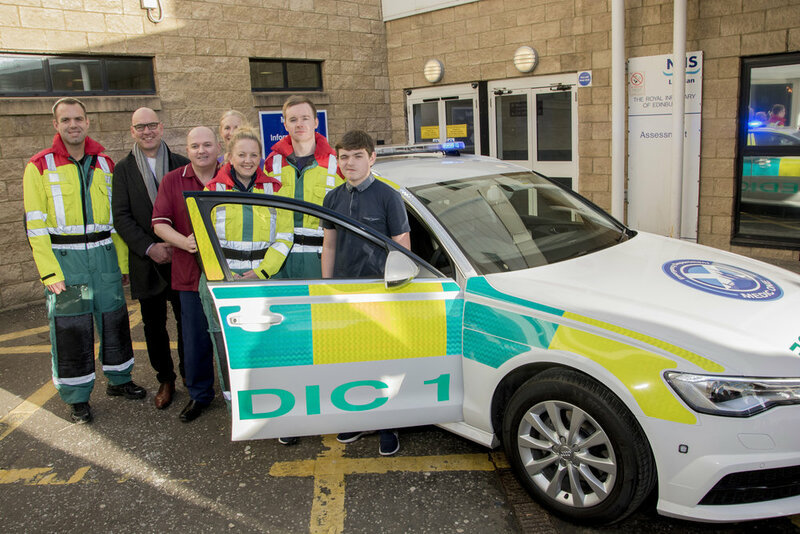 The new vehicle, which was kindly donated by a consortium of local businesses, will allow the team to bring the resuscitation room to the roadside, with faster response times & inclusion of new state of the art equipment. This includes the Tempus Pro, a monitor donated by Remote Diagnostic Technologies which will allow real time date transmission from the incident scene to improve patient care. Dr Angela Oglesby, the Medic One Chairperson, appointed Susie Beattie as a new Medic One trustee in 2017. Within a couple of months Susie had introduced us to a friend of hers, Kevin Witherspoon of Witherspoon's Motor Services. Kevin immediately took on board the ethos of Medic One and the charity. Within a short period of time, Kevin made it his mission to acquire a new Medic One vehicle. We are very grateful to Kevin, Dawn his personal assistant and Kevin's business contacts, as well as Susie. They made this happen for us within a very short space of time. The new Audi A6 will get the Medic One team to the scene of major incidents and accidents in a safe and timely fashion. The vehicle was launched outside the Emergency Department at The Royal Infirmary of Edinburgh with representatives from the NHS Lothian Executive Team, Donors, Charity Trustees, Emergency Department staff, Scottish Ambulance and Scottish Fire & Rescue Staff. The trustees of the charity would like to thank all those involved in providing this fantastic asset to improve the service we provide to our patients. Luke Minto cut the ribbon prior to unveiling the new vehicle. He was previously treated by the Medic One team and has made a remarkable recovery. His story is told in the video below. Medic One is funded by The Medic One Charitable Trust. If you wish to make a donation to the Medic One Charitable Trust you can do so easily and securely via the link below. Your contribution is very much appreciated.